Caitlin Silliman and Remington XXV at Plantation Field. Photo by Jenni Autry. Caitlin Silliman announced today that Densey and Ron Juvonen’s Remington XXV will retire from the upper levels to enjoy the next chapter of his career with Camilla Grover-Dodge, the Juvonen’s granddaughter. This marks the end of a storied career at the upper levels for the 18-year-old Hanoverian gelding, who completed three CCI4* events placing 12th or better and was named a reserve horse for the 2012 Olympic Games with previous rider Boyd Martin. 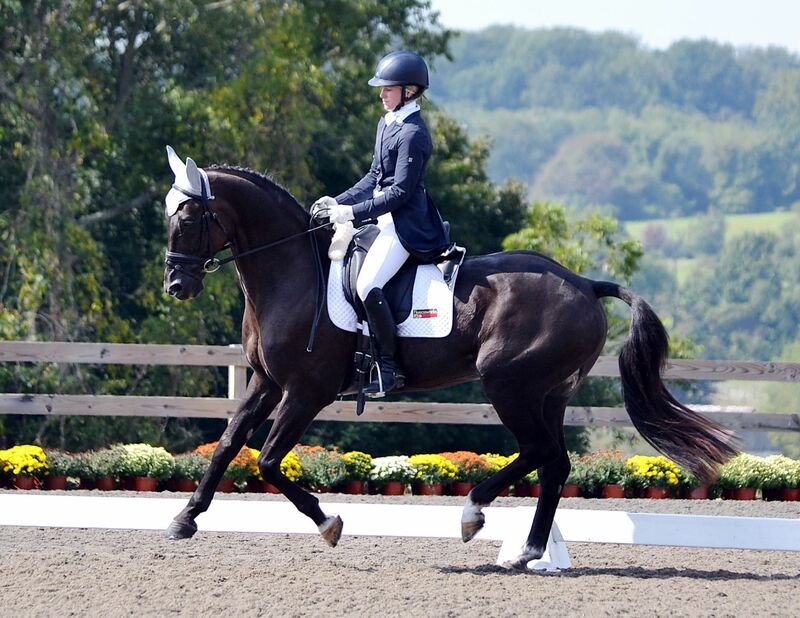 Remi had a semi-retirement following the London Olympic selection process in 2012 when he stepped down from four-stars and Boyd handed the reins to Caitlin so she could gain experience at the two- and three-star level. Together, Caitlin and Remi finished third at Plantation Field CIC2*, won the Jersey Fresh CCI2* and completed two CIC3* events, as well as several Advanced level horse trials.